Until the end of her life Lee continued to perform in clubs, nursing homes and for her fellow residents of the Eddy Memorial Geriatric Center where she lived for her final months. Shaw practiced on an almost daily schedule until there were no more notes left to play. A funeral observance later this week will be private. Siegel and Syracuse hope to organize a memorial concert and celebration in Shaw's honor in the coming months. Born in Ada, Oklahoma in 1926, Lee Shaw learned the now iconic “American Songbook” tunes when they were new. At college in Chicago she studied classical piano, but the lure of jazz was overwhelming, and soon she was playing in clubs throughout the city. It was there that she met drummer Stan Shaw, a New York native whom she later married. They formed a piano trio and eventually moved to NYC, where they played at Birdland and other top venues. Bandleaders such as Lionel Hampton asked her to join their groups, but she turned down these offers in order to focus on the trio with her husband. 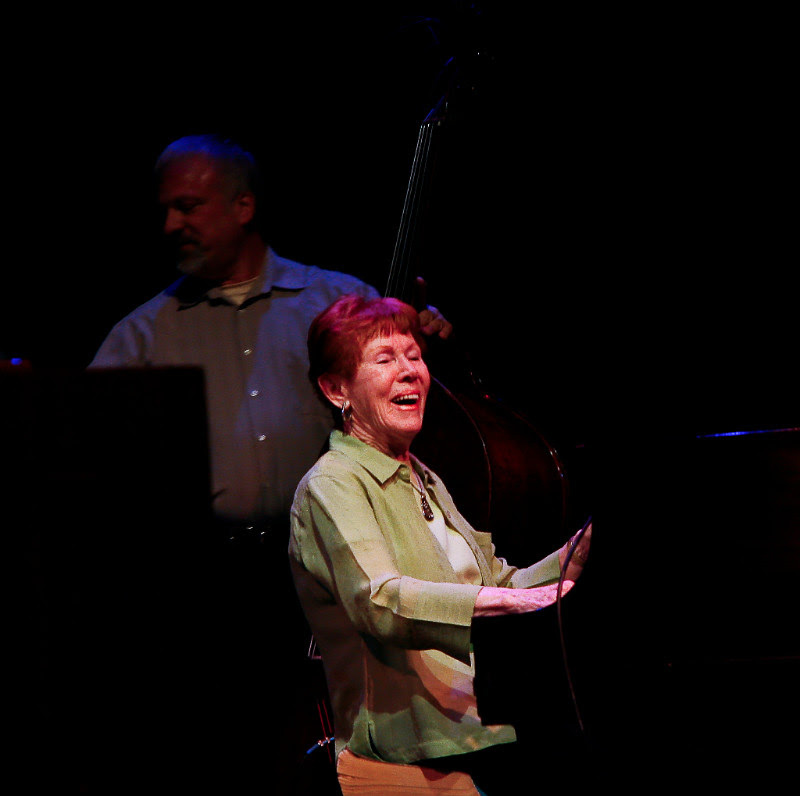 After moving to the Albany area, where she lived for the last five decades, they worked with all the first-call musicians who came through town. After Stan’s death in 2001, Shaw began working with Syracuse and Siegel. These two musicians have a singular devotion to Shaw, and it is partly through their efforts that the myriad talents of this jazz heroine began to earn the recognition she deserved. Truly an amazing woman - Rest In Peace.